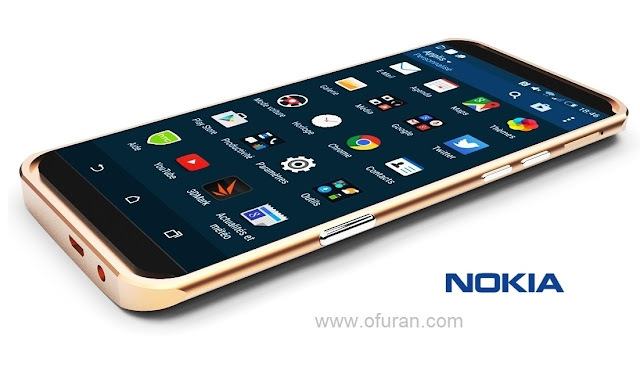 Nokia's new phone Nokia 7 will be coming in the market soon. Nokia 7 has a feature that has not previously been included in HMD Global's low priced three smartphones Nokia 3, 5 and 6. Nokia's high quality smartphone Nokia 8 will be similar to Nokia 7 in special camera. Through which, at the same time, photos will be photographed with a rear and front camera simultaneously. Other features are also similar to Nokia 8. It can be called the poor version of Nokia 8. But Nokia 8 price is 50/60 thousand taka. While Nokia 7 will cost only 30 thousand taka. As a result, you can use Nokia 7 in the medium budget. The price of Nokia 8 is slightly higher, but the phone has a good featuring comparing with other companies with more expensive smartphones. Especially the One Plus 5 will be ashamed when standing in front of Nokia 8. The Nokia 7's display is different from Nokia 3, 5, 6 and 8. Whole screen is covered with coorning Gorilla Glass 3. And its outer frame inscribed with 7 series aluminum alloy. This feature is not entirely different from Android smartphones. Nokia 7 is the first smartphone of 2017 which has a rear-mounted fingerprint scanner that is just below the camera module. There are also more on-the-screen navigational keys. The phone has a 5.2-inch 1920x1080 pixels IPS LCD display, Qualcomm Snapdragon 630, 2.2 GHz octao processor. The processor is also quite powerful. There are 16 mega pixels, a rear camera of F / 1.8 aperture, 5 mega pixels, 3008x2000 pixels, F / 2.0 aperture front camera. The phone is powered by the Android OS 7 Nugget operating system, but the latest version of Android will be upgraded to OS 8.0. The phone is available in two variants of 4 GB RAM, with 64 GB of storage and 6 GB RAM, and 128 GB storage. And the battery will be 3000 mAh.